"When you stand on the legal ground of the Cross, you have conquered Satan! Because all of the power and the authority of the universe stands behind you." “This world will pass away, the heavens will vanish, but the kingdom will remain through eternity. This life is like grass, a brief moment and gone. The only way to build for eternity is obedience to His will. There is a place of true security and provision. It is the kingdom of God: that ethereal concept is real and practical, present and functional. In this booklet, Martha Kilpatrick clearly demonstrates that the Kingdom is the only unshakable in the midst of the collapsible. Available exclusively in Kindle format at this time. Jesus preached the “gospel of the kingdom.” That was His very first message. John the Baptist preached the gospel of the kingdom. Paul, the apostle, preached the gospel of the kingdom. The great gospel of the good news, in all its vast meaning in Christ, is about the King’s reign, the kingdom. I wanted to know exactly what it meant when Jesus said, “The kingdom is nigh” (Mt. 3:2). I discovered that the Greek word for ‘nigh’ includes the idea of place. So the kingdom ‘nigh’ means that where Jesus is Lord on this earth, the kingdom is literally present and fully operative in that place. The kingdom of God is real and its dominion is absolute. May Almighty God open the eyes of our spirit to see the kingdom. It came to me that the kingdom is only about the King, Jesus! And I began to see Christ as the Magnificent King of the kingdom. The kingdom is for and about the King. Without the King there would be no kingdom. That simple thought helped me to see that Christ as King is the entire meaning of the kingdom. The appearance of Christ to John on Patmos was as a King, magnificently draped in gold, flame in His eyes, and a voice like the roar of waters. Jesus truly was no longer a poor carpenter in a homespun robe, so ordinary and simple. Now He was a King of all other kings, Lord over every lord (1 Tim. 6:15; Rev. 17:14). However unseen, Christ’s dominion as the Eternal King is absolute. I understood that to be inside Christ’s kingdom you had to come under the rule of this One and Only Reigning King. I considered the democracy in which I lived, and I realized that the kingdom is a literal government, entirely different. It is not a democracy or a republic. There is no rule of the people over that government. And there is no voting Him out of office. When you come under a king, you come under an absolute ruler – a dictator, if you will. This concept of kingship is not real to us as a living, practical matter, an everyday issue. The kingdom seems a theory, just something Jesus named, a realm far away in heaven. But He IS the king. And that means Monarch, Sovereign, Crowned Head, and Potentate. The Kingdom is real. After adoring our Father, Jesus’ first prayer and first petition was for the kingdom to come and God’s will to be done…on EARTH! God’s purpose is for the Lord Jesus Christ and His sovereign kingdom to descend from heaven’s plan and reign on earth, on people and situations, institutions, nations and lands. And the kingdom comes to earth only on the ground of the specific will of God through one who obeys it and prays it. One who, most of all, believes that the kingdom is here where God’s will is present. The kingdom is about the King, not His subjects. 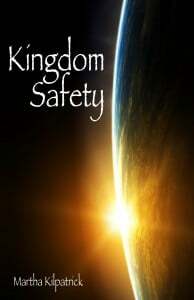 God’s kingdom comes to this earth only on the basis of the knowledge of Christ as King and in surrender to His will. We create a ministry, we organize our cause, we choose a good work and we whistle for God to join our agenda and bless it. What we initiate on our own, God does not join and no kingdom provision is available. The kingdom is for the manifestation of the King! Mankind will not declare itself king and have any support from the True King and His Father. Only what God originates does God support. Once I was in prayer for my family, and I saw a great truth for them that could bring freedom. I was overjoyed. But to my surprise, I heard the Lord say: “I did not put you on this earth to be a mother, though you are a mother. I did not put you on this earth to be a wife, though you are a wife. I did not put you on this earth to be a Bible teacher, though you are a Bible teacher. I put you on this earth to bring in the kingdom and if you are not doing that, you may as well come home.” And He meant to heaven! The kingdom is first. The passion of the Father is for the kingdom the Lord Jesus Christ to come to earth and for His children to dwell within its glorious shelter and under the outpouring of His gifts. The meaning of my life is the King, and the purpose of my life is His Kingdom. Even as I wrote this, I realized that an area of my life was out of kilter. Suddenly I saw that I had put my work ahead of kingdom focus, so the work was difficult and unfulfilling. Ah, the kingdom is all order and peace. All things fall into that order when we are seeking the King for His will about His kingdom. The project I want to complete must wait for God’s will to sustain the work. In God’s will is Christ’s power. The kingdom of God comes first. In pursuit, in purpose, in passion. There is a gate open into the kingdom but it is “small and the way is narrow that leads to life and there are few who find it” (Mt. 7:14). The entrance into heaven’s eternal kingdom is based on this primary issue: obeying the will of the Father. This world will pass away, the heavens will vanish, but the kingdom will remain through eternity. This life is like grass, a brief moment and gone. The only way to build for eternity is obedience to His will.